To me, the best part of this bacteria is that it produces it’s own antibiotics (including lactolin)…that intelligently target bad bacteria. This probiotic also makes lysine, an essential amino acid. Lactobacillus plantarum is a transient resident of your body. And like you, it is extremely hardy. It survives stomach acid with ease, and can make the full trip from supplementation – to mouth – to intestines – to colon – to feces. The best temperature for growing L. plantarum is very close to body temperature…so it’s truly tailor-made for your body. Lactobacillus plantarum is a helpful guest probiotic that fiercely attacks pathogenic, bad bacteria in our bodies. By killing the bad guys, it helps our own native bacteria grow stronger…and helps us be more resistant to future invasions of pathogens. Beyond being a vital way to boost your immune system, humans have eaten large amounts of L. plantarum for all of recorded human history. Click here to see the best L. plantarum supplements. IBS is a serious digestive condition that is on the rise. And the brilliant Dr. Diedzielin at Curie Regional Hospital wanted to see if Lactobacillus plantarum could help give IBS people serious relief. So in 2001, he enrolled 40 patients in a L. plantarum research trial. 5% of the people in the placebo group saw an improvement in IBS symptoms. 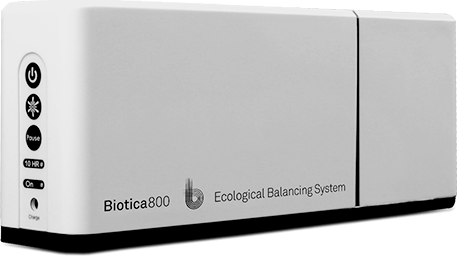 But, 95% of people in the L. plantarum probiotic group saw a huge reduction in their IBS symptoms…and saw their quality of life increase significantly. We all fart. But excessive flatulence can be a sign of deeper health issues. A Swedish researcher named Dr. Nobaek wanted to see if L. plantarum could cause any reduction in flatulence (much to the dismay of Swedish comedians). To test his theory, he gave 60 patients a placebo, or rose-hip + L. plantarum drink. The L. plantarum patients reported a large reduction in flatulence compared to the placebo group. To see if the affects lasted, there was a 1 year follow-up checkup. It turned out that the beneficial supplement effects weren’t temporary – the L. plantarum group maintained lower levels of flatulence and gastrointestinal function even 12 months after supplementation stopped. Digest Strong – Probiotic Man Blend contains large doses of L. plantarum probiotics. 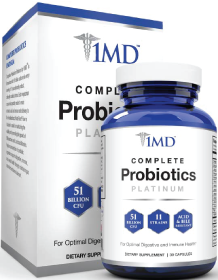 This men’s probiotic is also optimized for men’s digestive health. And this supplement also has plantarum’s immunity strengthening benefits. I personally helped engineer this blend’s formula. So I know it contains the best probiotics (like Plantarum) for men’s digestive health. Renewlife Women’s Complete probiotic contains substantial doses of Plantarum probiotics…along with 11 other probiotic strains. This women’s probiotic is optimized for women’s overall health. It certainly has L. plantarum’s digestive and immunity benefits. I haven’t taken this product personally (since I’m a man). But the reviews are strong…and the ingredients are solid (including probiotic plantarum). There side effects of Lactobacillus plantarum are very mild…generally at worst, mild digestive discomfort. Read the full article here. I stay healthy a few diffreent ways. Firtst, I walk with my dog every day. We go about 3 miles a day. Next, I work out with my husband at home. Instead of watching tv and sitting on the couch, we work out to our favorite prime time programs. Lastly, we stay healthy by watching what we eat and keeping healthy food in the house. I make a trip to Aldi for fruit and vegetables 1 to 2 times per week. That way we can afford produce.